This pioneering short course (one term only) is the first of its kind to be offered in any UK University. It aspires to bridge the gap between the educational cultures of traditional Islamic seminaries and modern higher education. It is open to those who have an interest in exploring Muslim faith and its diverse traditions of education. The Postgraduate Award in Islamic Education is designed as a bridge course helping participants to develop a reflective academic grounding in the foundations of Islamic Education. Students will critically explore narratives of education in Islam and engage with modern educational theory and models of pedagogic practice. It facilitates gaining essential research skills to be able to identify and pursue further academic study on diverse perceptions of education and cultures of teaching and learning within the context of historical and contemporary Muslim societies. 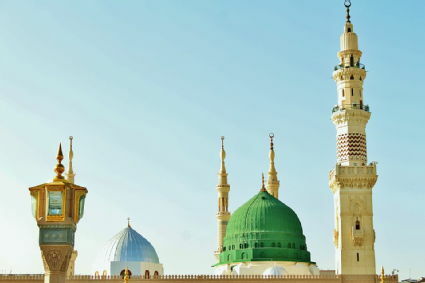 Students will develop knowledge and understanding of Islam, the historical, cultural, theological and philosophical foundations of Muslim educational thought. The course aims to build students’ educational and pedagogic competence through facilitating a reflective engagement with a range of theoretical perspectives on the nature of education and educational values, and practical skills for organizing effective teaching and learning environments within the context of formal and informal Muslim educational settings. By adopting a learner-centred, inquiry-based delivery strategy, students will develop competence for reflective practice. The course aims to integrate traditional Islamic Education with contemporary Educational, Pedagogic and Social Scientific Studies and as such will creatively respond to the academic and professional development needs of a large and often forgotten group of practitioners. Students who successfully complete the course and pass the assessment at a mark of 50% or higher will have the option of continuing with their studies by upgrading to a Masters degree. Muslim educators, faith leaders and graduates of traditional Islamic seminaries who are interested in pursuing professional and academic development in their field of practice as well moving into related specialisms in wider educational and social sciences. Teachers and volunteers involved with the organisation and delivery of education in the supplementary mosques schools (madrassas/maktabs), Muslim faith-based schools and higher education institutions. The course is also open to diverse groups of educational practitioners, including RE teachers, chaplains, youth workers and those who wish to develop their knowledge and understanding of Muslim faith and its traditions of education. Successful completion enables progression onto the Islamic Education pathway in MA in Religions, Society and Education. Students from seminary backgrounds will have the opportunity of integrating their traditional education with modern educational and pedagogic studies. This integrated approach to teaching and learning will build students’ knowledge, skills and confidence in engaging with a reflective dialogue between Islamic and modern approaches to education, thus bridging the educational gap in their own professional development. For those who have general interest in exploring Islam, its educational legacy and understanding educational issues affecting Muslim communities, the course offers a systematic and comprehensive introduction. For the employers running formal and informal Islamic education provision (madrassah, Islamic schools and higher education institutions), the course offers an opportunity to help them to improve the overall educational quality and standards in their organisations. The new programme offers a pathway to engage their teaching staff with professional development. The course will help mainstream schools interested in effectively responding to the educational and spiritual needs of Muslim children, young people and facilitate reflective Islamic/religious literacy among diverse groups of learners. Undergraduate degree or equivalent study provision such as being a Muslim seminary graduate. Identifying Islamic Education as an area of professional practice and academic development will be a significant rationale for admission. Having teaching experience within formal and informal community based-educational settings (Islamic schools and supplementary education sector like Madrassas and Maktabs) with plans to move into the field of Education in general and Islamic Education specifically as a professional and academic area of development will be also considered as part of the admission process. Applicants who have completed their training through traditional Islamic ‘study circles’ will be required to attend an interview either face to face or by Skype in order to substantiate their study and teaching experiences. The main assessment strategies are made up of a critical review (40% max 2000 words), and a long essay (60% max. 4000 words). Students will be guided to select the appropriate materials for completing their critical review essay. Students will be provided with suggestive essay topics but will also be encouraged to formulate essay questions reflecting their own areas of interest the field. The study programme consists of studying one module (30 CAT), EQ934 Foundations of Islamic Education and will be taught face to face on 10 consecutive afternoons (day to be confirmed).. The next cohort will start in October 2019 for one term. In order to gain the Postgraduate Award you will study one 30 CAT Postgraduate Module - Foundations in Islamic Education. To be confirmed for 2019 entry. Students can be self funded or look for alternative avenues of funding through their work or a sponsor.